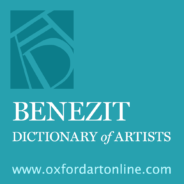 Since its first publication in 1911, the Benezit® Dictionary of Artists has become one of the most comprehensive and definitive resources of artists’ biographies available. In 2018 the Dictionary has devoted a year to commissioning new biographies to revising and expanding current entries on women artists. Tiff Massey is a young artist whose work ranges from wearable sculpture to large-scale public interventions. In the first of this two-part interview, Massey spoke with Benezit Dictionary of Artists editor Kathy Battista about her work as well as her vision for bringing art education to underserved areas of Detroit. In the second part of the interview, Massey speaks about her influences and beginnings as an artist. You can read the first part of the interview here. Kathy: Who were the artists who became important to you? Tiff: Issey Miyake, Nick Cave, and Edmonia Lewis. The pioneers were influences, but I didn’t necessarily understand how they translated into the things that I was making. I was fixated on hip-hop jewelry. At one point, I was calling myself ‘Tiff the Jeweler’, like Jacob the Jeweler. I thought that the forms that were being created for hip-hop were limited. There is so much that you can do within the metalsmithing room, but it’s just not exploited. Nobody is spending the time to create hollow forms. That’s where I felt my space was. Faith Ringgold was also important. With her being so blunt with the imagery, and with her Flag series, specifically – I thought of that when I made my own flag. 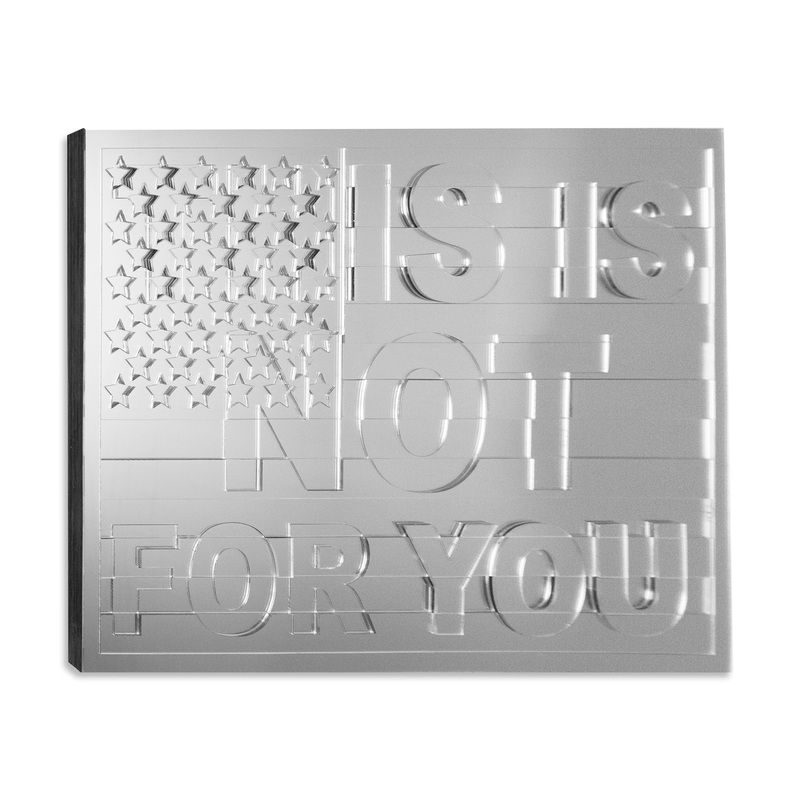 K: In Ain’t no Future in Your Front, when it reads “America is not for you,” do you mean for everyone or are you speaking specifically to the African American experience? T: I wanted to create something that was speaking to the political climate; it’s more than blacks now. People are starting to understand that this is a larger issue than a black and white situation. Tiff Massey: Ain’t No Future in Your Front, wood and mirrored acrylic, 26 x 38 x 1.25 ins, 2017. Image courtesy of the artist. K: Did you always want to be an artist? T: No, I went to Eastern Michigan University for Biology. But I’ve probably been an artist all my life. I was into crafts growing up and my mom would take me art classes. I would go to the College for Creative Studies on Saturdays and paint. She would take me to museums and art fairs. She’s not an artist, but she made sure I saw it all. K: But there was no talk that this could be a profession for you? T: Oh, hell no. Even when I chose to go get my masters it was like, you can still go to med school! I talked to my mother recently about this building that I’m acquiring and she said, “They’re not going to give you a loan because you don’t have a 9-5.” I said, “Ma, you don’t get it, I get paid to do what I do.” It is a job. It is a profession. K: What will you use the building for? T: For studio space. I own a live/work space in a former bowling alley, which I want to turn into a community center for high school kids utilizing the same pedagogy as Cranbrook Academy of Art: hiring artists in residence, having them live on site, and teaching more than just the seven genres, adding music and performance. When I bought this site, I bought it blind. I remember going to see it for the first time and I saw all these high school kids walking around. I grew up 10 blocks away from this building and there’s nothing to do over there. What would I have done if I had a space near me where I could work out some ideas or express myself? It would have totally changed my trajectory. How can I leverage my network and use my platform to help these high school kids? If I don’t think about them, nobody is going to. We barely have schools [in Detroit] and we definitely don’t have art in schools. All of this stemmed from a friend of mine who introduced me someone saying, “This is Tiff Massey, and there will never be another Tiff Massey unless someone makes their kid actually do what you do.” That’s not a good thing. That’s like me having the only seat at the table and I don’t want the only seat at the table. So, how can I figure out how to get young people getting their hands dirty? In 2018, the Benezit Dictionary of Artists has devoted a year to commissioning new biographies to revising and expanding current entries on women artists. Read the previous posts in this blog series here. Featured image: Tiff Massey: Facet, steel, 216 x 54 x 6 (variable), 2010. Image courtesy of the artist. Kathy Battista is Editor in Chief of the Benezit Dictionary of Artists and Director of the MA program in Contemporary Art at Sotheby’s Institute.